One person was killed Monday evening in a three-vehicle collision involving a semi truck on eastbound Interstate 90 about 19 miles west of Spokane. Officials said a 29-year-old Ritzville man died in the crash, which occurred around 9 p.m.
A 59-year-old driver and his female passenger in another vehicle were injured and transported to a Spokane hospital. The driver of a third vehicle was not injured. According to a preliminary police investigation, two pickup trucks were traveling west on I-90 when one struck the other from behind, causing the lead pickup to lose control. It veered to the right and went over the guardrail and landed in a ditch. The other pickup traveled into the center median, where it flipped and rolled into the eastbound lanes of I-90. The man was then killed when he was struck by the third vehicle, a semi truck with two trailers. If you or a loved one has been injured in an accident involving a semi truck, you probably are in a great deal of emotional and/or physical pain and worried about your future. But by hiring an experienced attorney to represent your interests, things get easier. If you’re wondering how long your semi truck case will take to settle, the answer may be complex and inexact. But your case will almost assuredly take longer than other auto accident cases. Semi truck accidents are more likely to result in serious injury or death, and therefore result in higher medical bills, more property damage to the vehicles, and more pain and suffering to you and your loved ones. The sheer size differential between a semi and a passenger vehicle is incredible. Because the damages are so high and bills pile up so quickly, many want to reach and settlement as quickly as possible. Unlike your typical auto accident, wrecks involving a commercial vehicle have a variety of additional complexities to them. Determining negligence is the No. 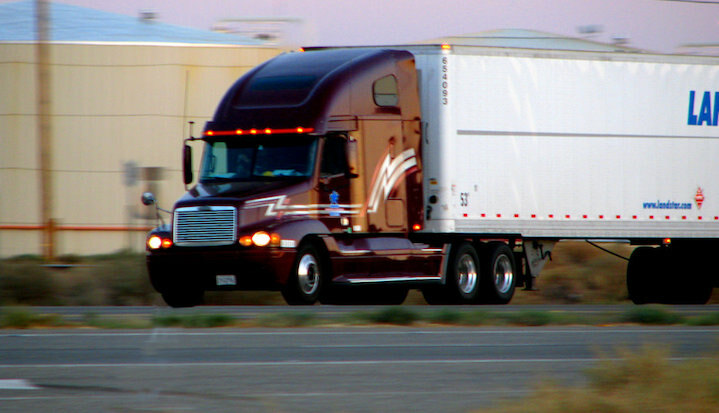 1 responsibility of your attorney, and in semi truck cases, there may be several people or parties that are at fault. It may be the truck driver. Or the trucking company. Or the maintenance company. Or the company that was responsible for loading the truck. The possibilities are nearly endless. Additionally, semi trucks are tightly regulated by both state and federal government. Trucking companies and their drivers have to abide by various regulations to make sure they are following the law. An attorney that knows what to look for can be key here. 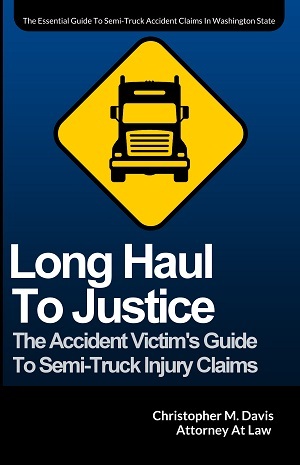 The investigation into a semi truck accident is likely to take far longer than that of a regular car accident. Your attorney should look into all factors of the crash, the trucking company’s history, the driver’s history, as well as any other contributing circumstances. No stone should be left unturned in these cases. There may be potentially millions of dollars on the line. If you or a loved one has been involved in a semi truck wreck in Washington state, you may benefit from a free consultation with an attorney. Knowing the right steps to take after an accident is key to getting the most compensation possible. Attorney Chris Davis and the legal team at Davis Law Group, P.S., have handled some of the biggest semi truck cases in the state. Hire an attorney with the knowledge needed to stand up to the trucking company. Contact our office today. Call (206) 727-4000, use the chat feature below or fill out the form on this page to get started.